We listen to our clients and work out the most affordable way of making you the video you need. 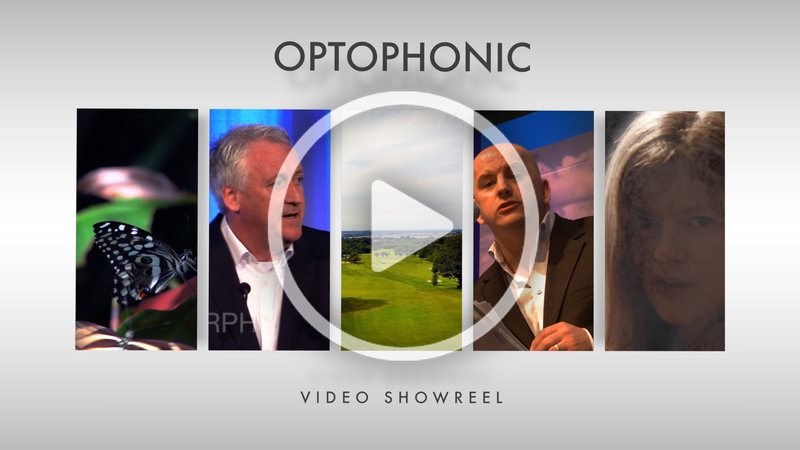 From full length corporate videos to short online promos we can cater for all budgets. Whether you want an exciting opener video for your event or a summary video and attendee feedback afterwards, we work with leading organisations to make their events more entertaining and have lasting value online through video. If you have a new product or service you want to push out through online channels we do that too. And if you just want some favourable client testimonials for your website, well thats no problem at all. We work closely with our clients to understand their objectives and build up trust. We look after all filming and video production for three major institutes: The Sales Institute of Ireland, The Pharmaceutical Managers Institute and the Medical Representatives Institute of Ireland. Starting out as videographers for these clients, over time we have built up trusting relationships and now manage their extensive online video libraries. We first started working for the Sales Institute of Ireland when they rebranded back in 2008 and are still their main videography supplier to this day. ​We also work closely with event companies such as Grooveyard, Rhodes and The Republic of Experience, creating branded video content for their events. Whether you need a complete video production from script to finished video or just a nice edit from footage you have shot yourself, no job is too big or too small. Complete Video Production, Script Writing, Filming, Video Editing, Animation, Video Encoding, In-House Voice Over Production and Recording, Management of Online Libraries and Social Channels and Bespoke Music Composition.